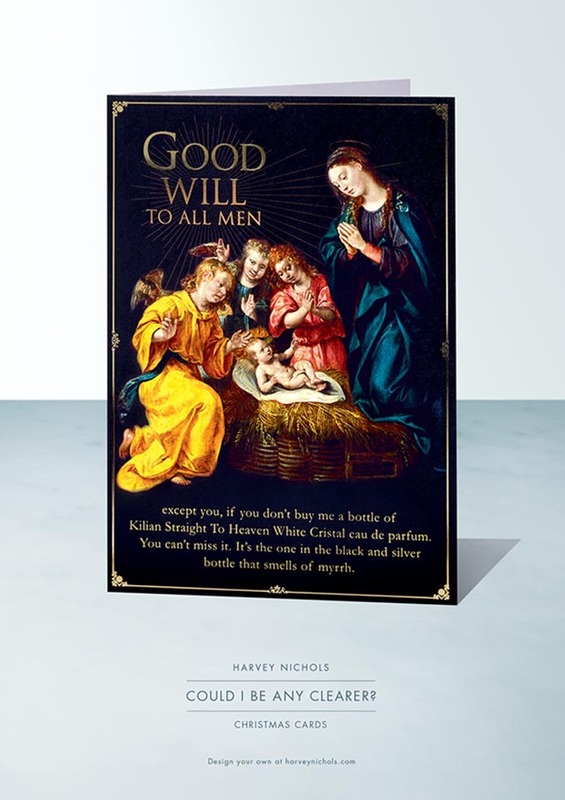 Harvey Nichols UK is running “Could I Be Any Clearer?”, an integrated advertising campaign for Christmas 2014. Sick of unwrapping socks from your nan? 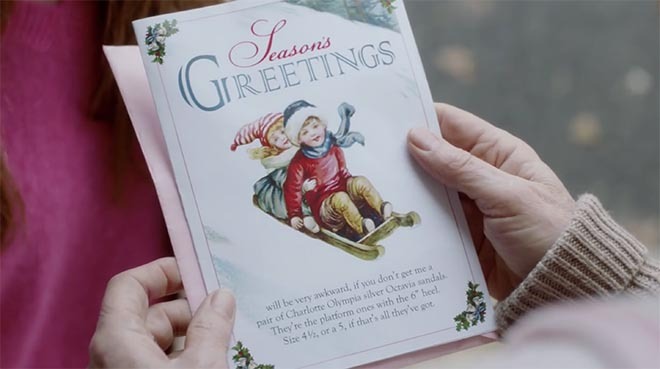 Fed up of receiving novelty Christmas onesies from Aunty Jo? 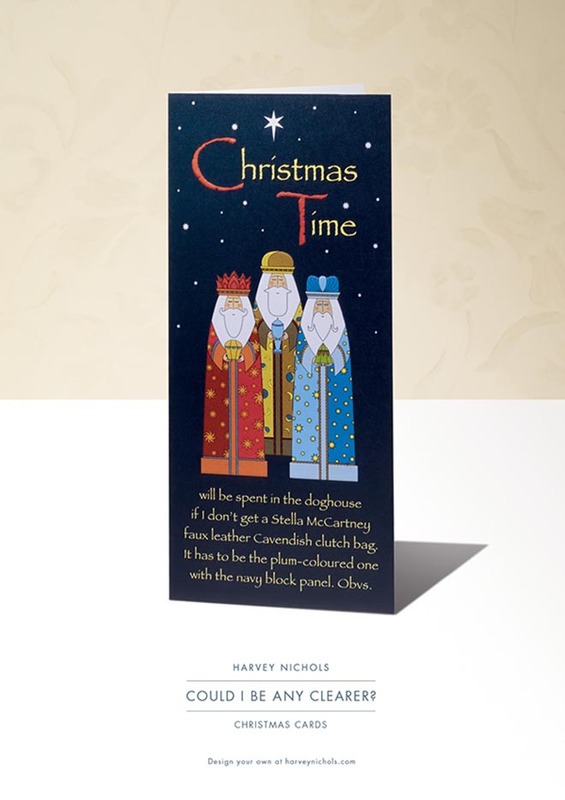 If you’re tired of rubbish Christmas gifts then you need a Harvey Nichols ‘Could I Be Any Clearer?’ Christmas card. It’s the best way to make sure you get exactly what you want. 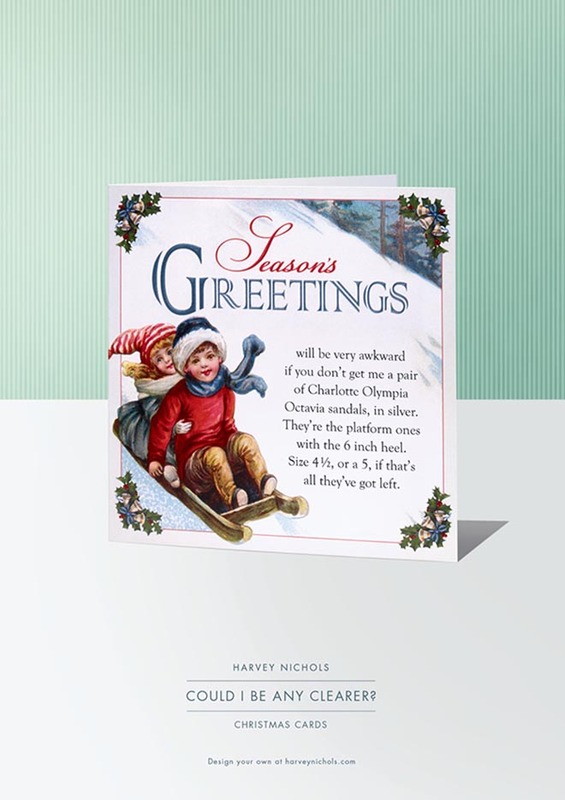 Whether you’re hoping to unwrap a pair of Charlotte Olympia Octavia sandals or a Moncler jacket, simply visit bit.ly/CouldIBeAnyClearer, design your own personalised card, and drop your loved ones the ultimate hint. 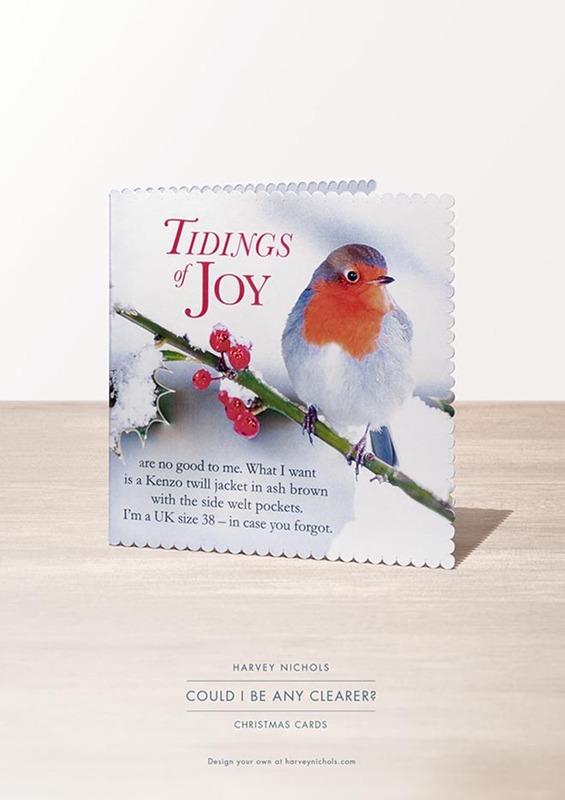 The card can then be printed, e-mailed or shared via Facebook, Twitter and Instagram to ensure that your nearest and dearest are left in no doubt as to what you really want for Christmas. 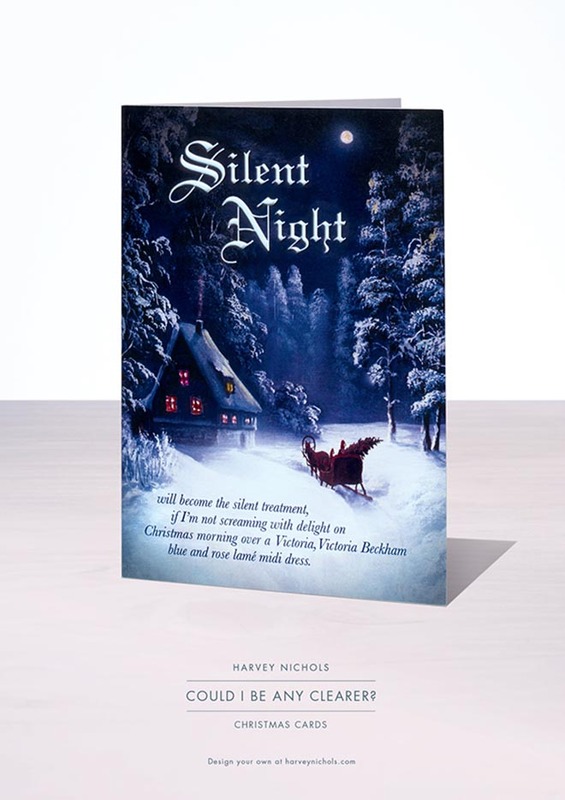 The online campaign is being promoted with a commercial in which a young woman delivers her Harvey Nichols card to unsuspecting Aunty Val. 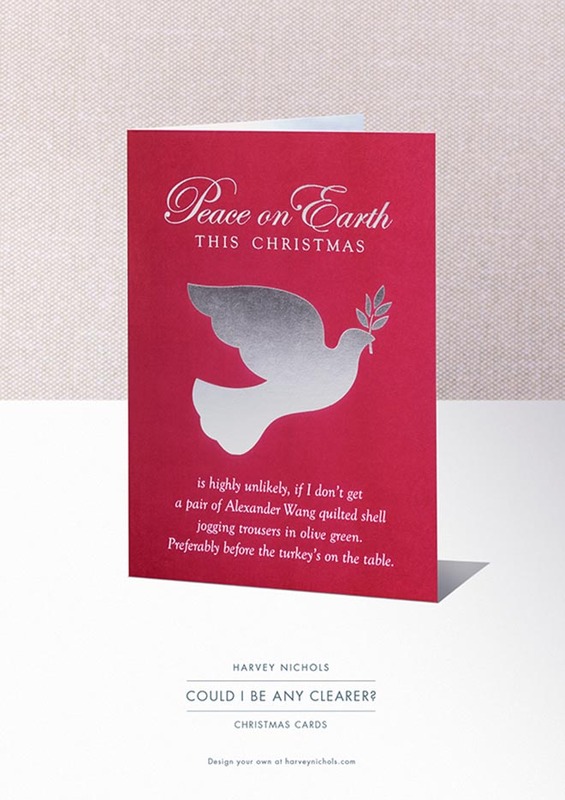 The Harvey Nichols Could I Be Any Clearer campaign was developed at Adam&EveDDB, London, by executive creative directors Ben Priest, Ben Tollett and Emer Stamp, art director Jon Farley, copywriter Alex Lucas, agency producer Charles Woodall, planner Michelle Gilson, business director Paul Billingsley, account manager Katie Gough and account director Rebecca Sare. Media was handled at Rocket by planners Faye Turner and Laura Henderson. Filming was shot by director Eric Lynne at Partizan with producer Ella More-Ferrall, production manager Natalie Wetherell, production assistant Nu Nevzat, 1st AD James Dyer, director of photography Tim Siddell, art director Anna Rhodes, stylist Sara Sensoy, hair and makeup stylist Carol Hart. Editor was Ben Campbell at Cut & Run with producer Kirsty Oldfield. Post production was done at Framestore by colourist Simon Bourne with senior producer Heather Kinal. Audio post production was done by Mark Hellaby at Clearcut Sound. Music is Piano Concerto No.1 in E Minor by Frederic Chopin.